Mobile gambling was barely a blip on the radar a few years ago, but it has exploded in recent years. 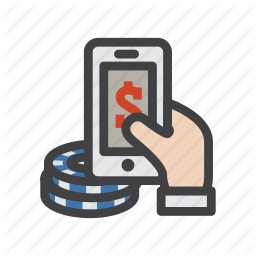 According to a report from App Annie, consumers spending on mobile iOS casino games increased 55% in November 2014 year-over-year. The trend has continued in 2015, as mobile deposits to Casino Room services have increased from $329,000 to $1.2 million since January. Over 30,000 new mobile accounts were created in July alone. This market is expected to grow even more rapidly as the United Kingdom, Australia and other countries open mobile gaming to real money compared to those that limit it to social gaming. A report from Juniper Research suggests that the market is expected to be worth $60 billion in the next three years alone. The mobile gambling market is especially robust in the UK, where Deloitte found that about a third of all online gambling patrons use their smartphones or tablets to play. Ebbe Groes, the CEO and co-founder of Every Matrix, writes that there are a couple of factors propelling the growth of mobile casino games. Groes points out that consumers enjoy spending time on their mobile devices, giving gaming providers access to a customer base that was previously unavailable to them. He also states that mobile apps give patrons a more interactive gaming experience, and that a growing number of customers are using their devices to place sports bets in pubs or on-the-go, whenever and wherever they’re in the mood to do so. 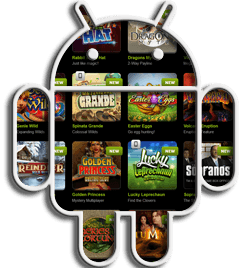 The growth of mobile gambling can be attributed to the popularity of social gaming. Consumers have found that online gambling is very interactive, resulting in many of them developing an affinity for it after playing free casino games found in their respective app stores, on Facebook and through other platforms. Providers are capitalizing on this growing interest by expanding their services to offer real-money casino games to people through their free social gaming apps. Research from Mobile Donky found that mobile devices have been playing a key role in changing consumer behavior. Since users can engage with their mobile devices in any setting, they’ve conditioned themselves to transfer seamlessly between their mobile games and other activities. While this allows providers to reach customers more easily, they must also accept that it takes more effort to get their attention. Millennials have, surprisingly, been one of the most difficult demographics for online gambling providers to reach, though the increased prevalence of mobile devices is making it easier for providers to connect with this untapped market. In order to reach this demographic, many gaming providers initially marketed free social casino games to younger adults believing that these satisfied customers will ultimately go on to play for real money. Fewer and fewer customers are using their desktop devices to access the Internet. In fact, Google announced that mobile device usage exceeded desktop for the first time ever a couple months ago. Many of the customers that are abandoning using their desktops in favor of mobile devices are active gamblers, and this trend is having a substantial impact on the online gambling industry. Some of the gaming providers in question are creating mobile-exclusive services for their mobile patrons. According to E-marketer, this trend is especially popular in the UK, where 5 million consumers rely exclusively on their mobile devices to access gambling sites. The increased use of mobile technology has also inspired companies to become more innovative. Fiona Hickey, Director of BettingJobs, argues that mobile technology will continue to force gaming providers to improve the quality of their offerings by hiring the best talent in order to ensure the best possible experience for their players. There are a number of reasons that people seem to prefer the mobile experience over their desktops, though the resolve to create a better mobile experience is likely to ultimately extend to desktop platforms as well to appease rising customer expectations. Society’s new addiction to mobile technology is having a profound impact on the online gambling industry. Gaming providers must continue to improve their services to retain loyal customers. Their reliance on mobile platforms will likely increase as more customers abandon their desktop devices for smartphones and tablets.